What makes a great and mighty knight? His cunning, honor, intelligence? How about his ability to defend his castle and those he loves? Need he be considerate, passionate and tender? Ah, Kathryn Le Veque has created such a knight with all these qualities and then some. 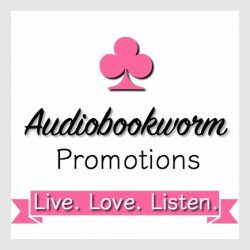 Publisher’s Summary: 1228 A.D. – After a vicious battle with old adversaries that sees his father killed, Sir Dennis d’Vant finds himself the head of the House of d’Vant. A house descended from the kings of Cornwall, they are a proud but warring people. Their most hated enemy is their neighbor to the north, the rich and cunning Earl of Cornwall. 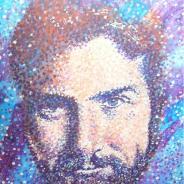 Dennis, however, is not like his forefathers; a giant of a man and a skilled warrior, he is also quiet and gentle. He does not possess the same fiery instincts of his family and for that, he is often looked upon as weak. My Thoughts: The hope of peace came with the death of Dennis’s father. He proposed marriage to a woman from Cornwall to breach the rift long-standing between the clans, beginning a healing process. His vision, far beyond his father’s, his knights’ and sister’s, was the only solution he thought might work to stop the bloodshed and endless repair to his beloved castle, where his family and knights wanted only revenge for the death of all the knights in the last skirmish and the death of his father. He was now Earl, responsible for the House of d’Vant. He was a great warrior, a man not understood and found himself at odds with his family, and knights of the castle. Even his sister Charlotte, better known as Charles, since she was a knight of the castle, didn’t care to bring anyone from the Earl of Cornwall’s castle into their midst. Charlotte made Lady Ryan very uncomfortable in her new position, wed to Sir Dennis. Sir Dennis could not believe his good luck when he took Ryan as his wife. He was willing to marry a hag, and somewhat expected they’d offer him one, not this beautiful creature, Ryan. Sir Dennis was won over quickly by the intelligence, wit and kindness of Ryan. Not so his sister. This is a story about how far man will go for greed. For there are some very greedy men who are a danger to both Lady Ryan and Sir Dennis. It was resplendently written as with each of the novels Kathryn Le Veque writes. She has a brilliant approach to the telling, gripping the reader by her shoulders—exciting, tragic, weep-worthy, suspenseful, passionate, humorous, and sweet, all woven together. I ask myself, what makes a good story. They all have the same ingredients as does a cake: Flour, sugar, oil/shortening, milk, salt and other spices. In a story it matters when each of the ingredients are added, how much of each is present, where and how long it is baked. When it is done right the cake is a masterpiece. The same holds true for a good tale. 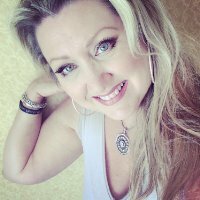 Author Kathryn Le Veque knows just how to combine the ingredients, what and how to include to set a reader to only want more of what she writes. Daniel Dorse uses a very low, warm voice for the general narrator, quite subdued and lulls the unsuspecting reader when he breaks into dialog. He’s delightful in his portrayal of various characters. His voices for the Spaniards speaking English are excellent. The emotions of the character were very convincing only reconfirming to me how much fun it is to listen to audio with a narrator who knows what he’s about. The way he tells the story is quite mysterious and compelling. I chuckled when I heard Charlotte’s voice. Charlotte, first born and sister to Dennis, learned to be more man than woman, ever as much a knight as other men. Her father was disappointed having the first-born female, but decided to train her as male and warrior. I enjoy how she is caught having ‘woman’ thoughts with such a masculine exterior. With the voice Mr. Dorse chose for her, he doesn’t let us forget what she looks like, yet she does endear the reader with her gruffness and fierce loyalty. If you haven’t read Kathryn Le Veque, and enjoy medieval historical romance, you do yourself a disservice. She carries you to far-off lands of a time of hardship, bravery and honor. 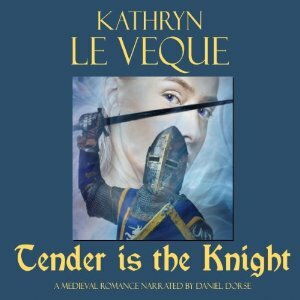 This entry was posted in Audiobook, Audiobook Review, Dark Romance, Historical Romance, Medieval Romance, Romance, Suspense, Women's Fiction and tagged Audiobook Review, Daniel Dorse, Kathryn Le Veque, Tender is the Knight. Bookmark the permalink. Eileen, I love your cake/ingredients analogy for what makes a great book. It is so true. Some stories just keep you so connected, others are okay, but the special ‘something’ isn’t. Three years ago, I didn’t have as many people following me as I do now. Kathryn Le Veque’s work just never gets old! Thanks for the reblog!